RSK Labs has raised $1 million to further develop the first smart contracts platform secured by Bitcoin and fully compatible with Ethereum. This successful round allows RSK Labs to expand its current presence in Latin America to Asia, Europe and US, while securing the funding needed to ensure the complete execution of its roadmap. RSK is the first open-source smart contract platform with a 2-way peg to Bitcoin that also rewards the Bitcoin miners via merge-mining, allowing them to actively participate in the Smart Contract revolution. 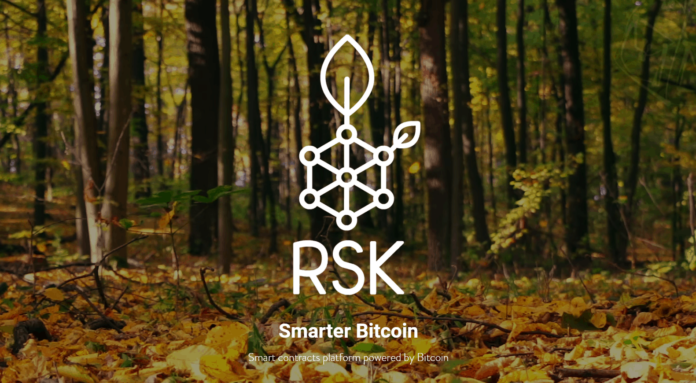 RSK adds value and functionality to Bitcoin while creating the most robust and secure smart contract platform in the ecosystem. RSK connects the two most successful Blockchain platforms built to date – Bitcoin and Ethereum – to enable new smart contracting capabilities. RSK Labs founders believe that decentralized Blockchains with smart contract capabilities will be the driving force behind global financial inclusion, new democratic political systems and the internet of things. RSK Labs is led by Sergio Lerner, its Chief Scientist Officer, and Diego Gutierrez Zaldívar, its Chief Executive Officer. Sergio is a world-class security and cryptocurrency researcher. He created the first Turing-complete cryptocurrency Blockchain in early 2013, QixCoin, and collaborated to strengthen Bitcoin security as a Core team adviser. Diego has been leading Bitcoin adoption in Latin America for more than three years creating some of the strongest grassroots Bitcoin communities in the world. Their combined understanding of the technical, economical and social impact effects of Blockchain technologies have shaped the unique and transformative company culture behind RSK Labs. RSK private testnet will be opened by the end of April to a small number of miners, partner companies and users. During the following months, wallets, block explorers and further enhancements to the network will be implemented by the company and its partners and a public fully functional Beta testnet is expected to be launched in September 2016. Meanwhile, the RSK team continues to strengthen its relationships with Bitcoin miners, who are a fundamental pillar of the project. RSK provides them with the opportunity to use all their installed capacity to run decentralized smart contracts while merge-mining RSK, creating an additional revenue stream in their current business model.